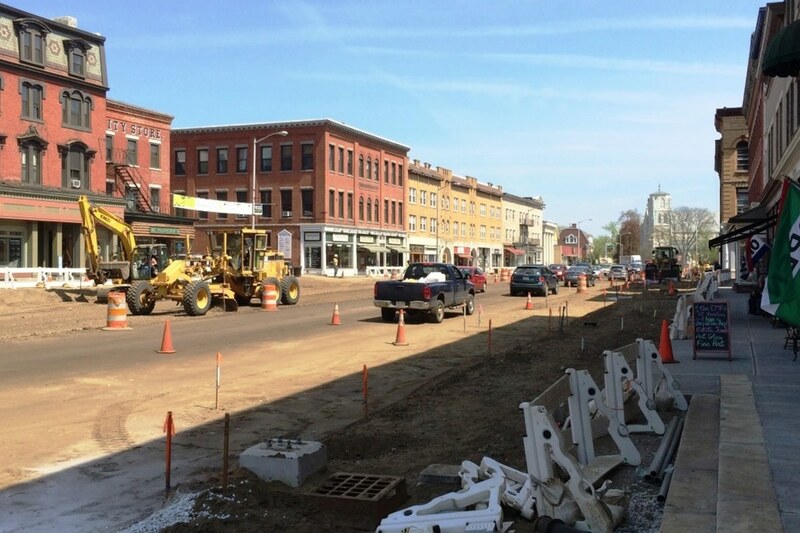 Main Street Streetscape Project - J.H. 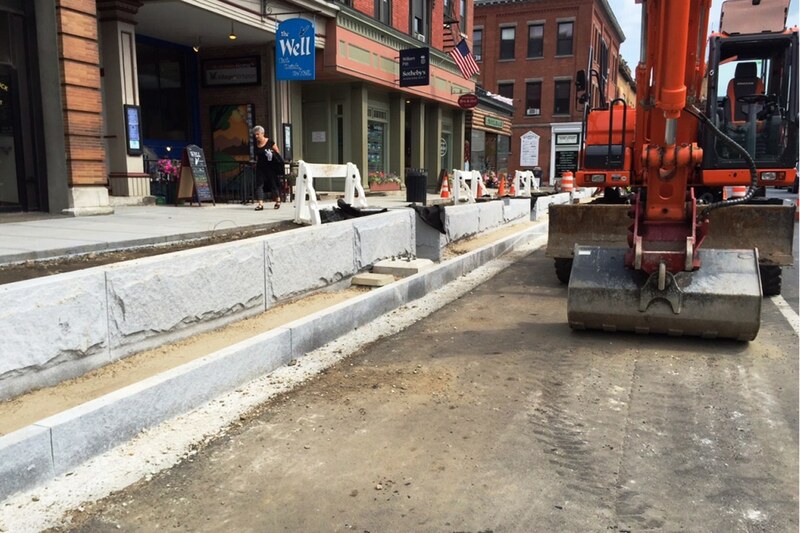 Maxymillian, Inc.
Maxymillian completed a $6.2 million, high-profile rehabilitation of Main Street in downtown Great Barrington. The project required full-depth reconstruction of the roadway with pavement repair, milling, and overlay. Maxymillian installed new drainage and water lines to improve the outdated drainage system. The wide array of streetscape improvements included repairing sidewalks and setting new curb, and installing new traffic signals, crosswalks/pavement markings, and period lighting. 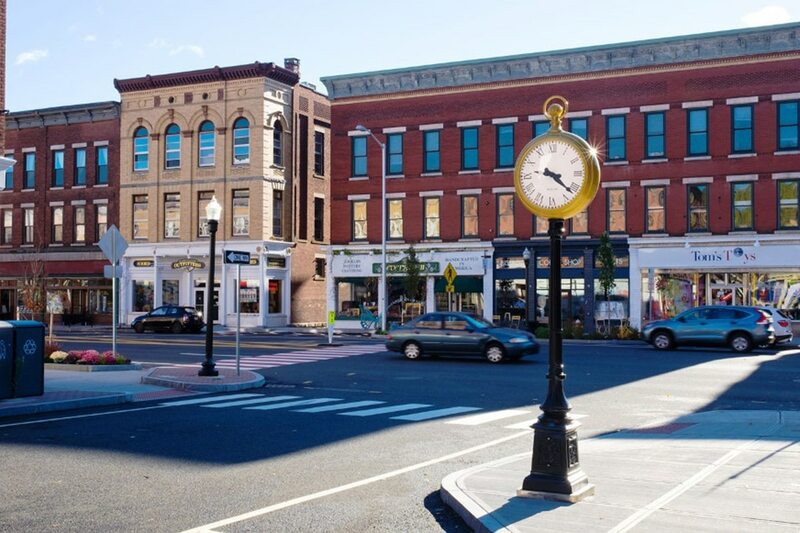 The extensive landscaping scope included the removal of the existing trees lining Main Street, and the introduction of 80 Hew trees of a variety of species and sizes. Maxymillian maintained two-way traffic on Main Street and full pedestrian access throughout.